These green opal stones are extraordinary! 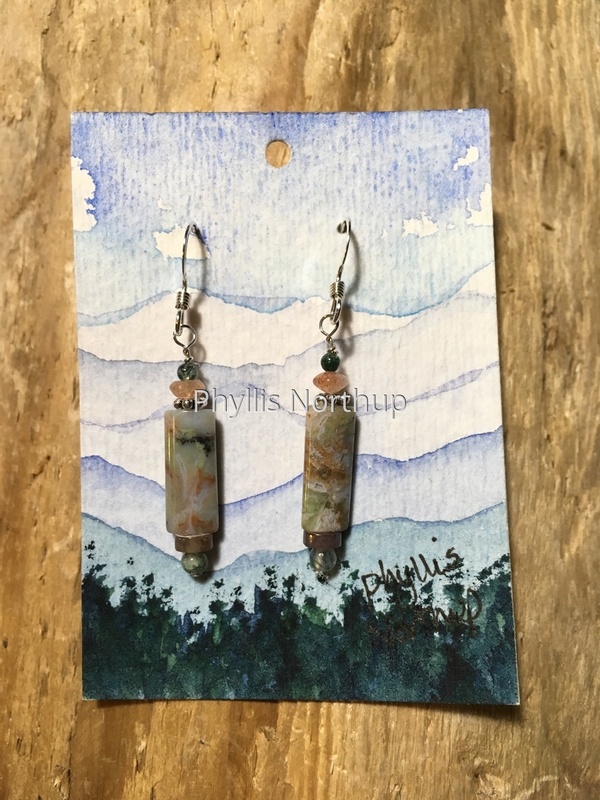 The delicate design is completed with sterling, moss agates, sunstone and fancy jasper and presented on a hand painted card. Sterling ear wires, approximate 1” drop. Free shipping.